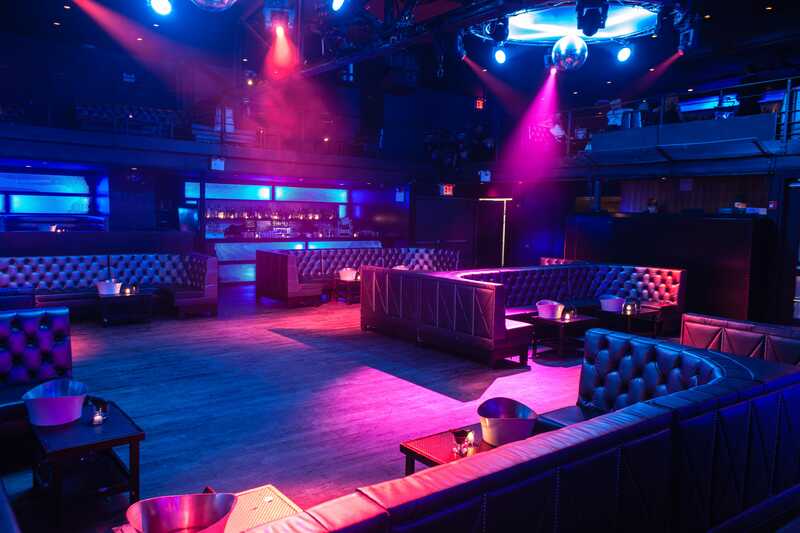 Have it all this New Year’s Eve at the the Meatpacking District's Highline Ballroom where New York City’s Meatpacking-chic artistic edge and mega-club fittings come together to take NYE revelry to a whole new level. 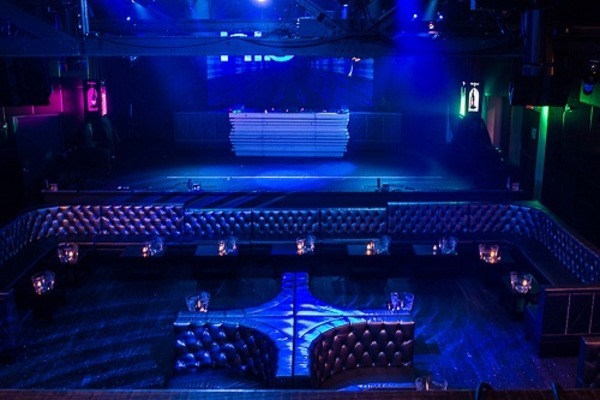 Join NYC’s trendiest partiers at Meatpacking's premier music venue-slash-nightclub extraordinaire - host to A-list artists and the hippest NYC parties alike – and usher in the New Year with a hyper-cool blast. 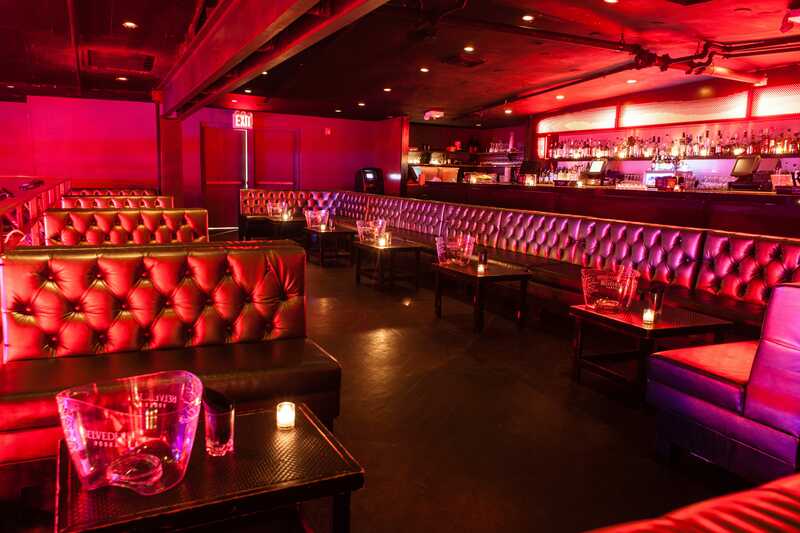 This is the hottest New Years party spot in the NYC's Meatpacking District. 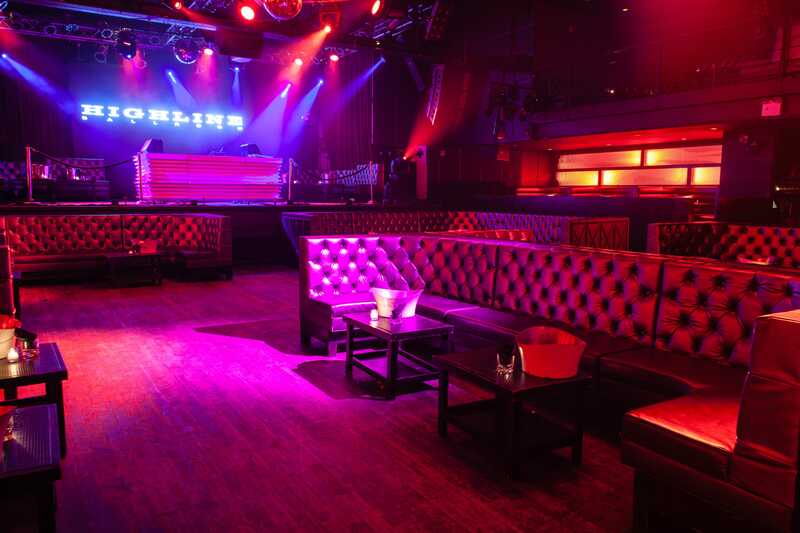 This New Year’s, feast your senses and party-appetite at the Highline Ballroom, the top of the line music venue and nightclub favored by NYC’s coolest music and party aficionados. 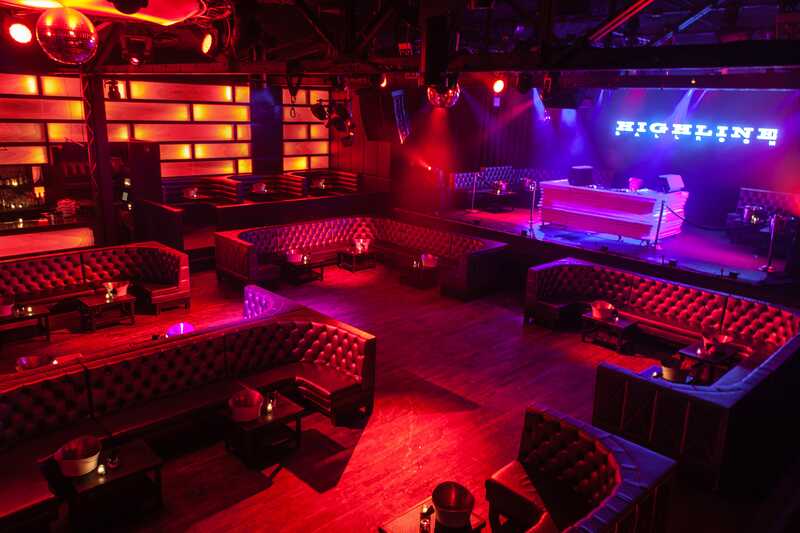 A 5 hour premium open bar will keep the wild night heated and with 3 full-service bars throughout the venue, the party-fuel won’t be hard to come by. In between thirst-quenching drinks, sample complimentary small appetizers and turn up the party noise. 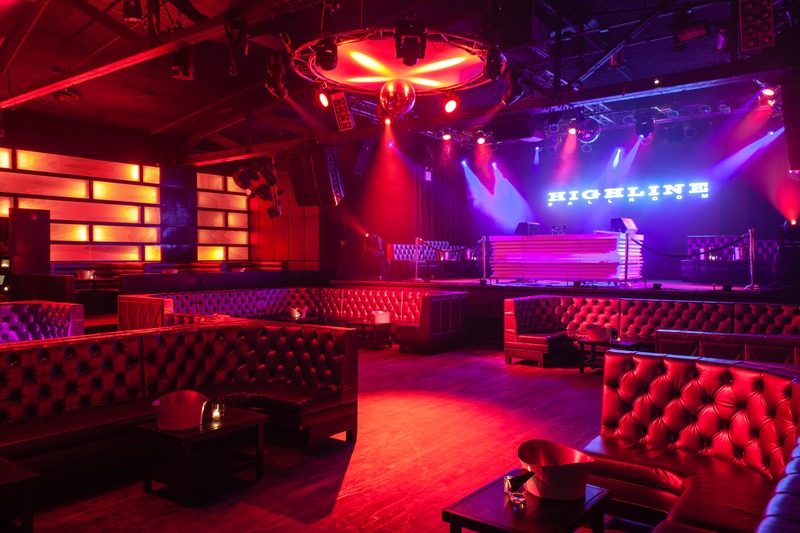 Highline Ballroom’s renowned expertise on music is on full display this NYE, with one of the top NYC DJs spinning a white-hot mix of Top 40, House, Hip Hop, and Mash Ups – and a plethora of screens behind the DJ exhibiting Highline Ballroom’s brilliant visual display - that’ll drive the crowd wild. 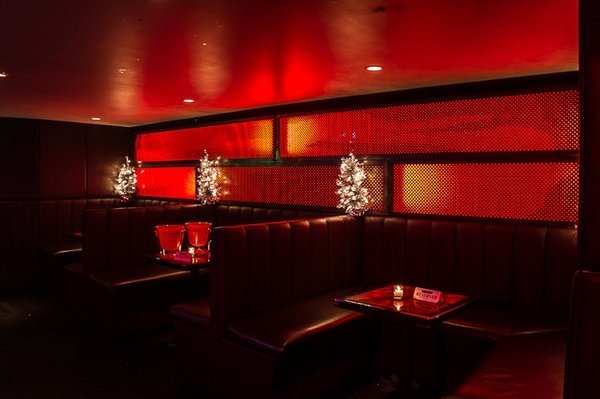 When the night reaches the midnight climax, grab a complimentary champagne toast and join the beautiful crowd in an electric live countdown set to a sensational multi-screen broadcast of the famous Times Square Ball Drop. 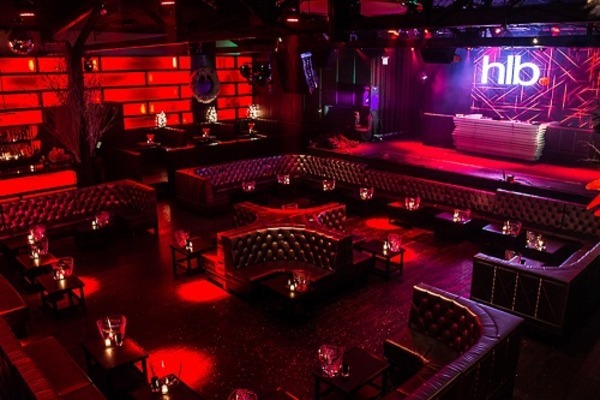 And with VIP options offering velvet-rope amenities like priority admission, reserved seating, table service, and exclusive access to the Mezzanine level, you can have the whole lavish NYE experience at the Highline Ballroom. 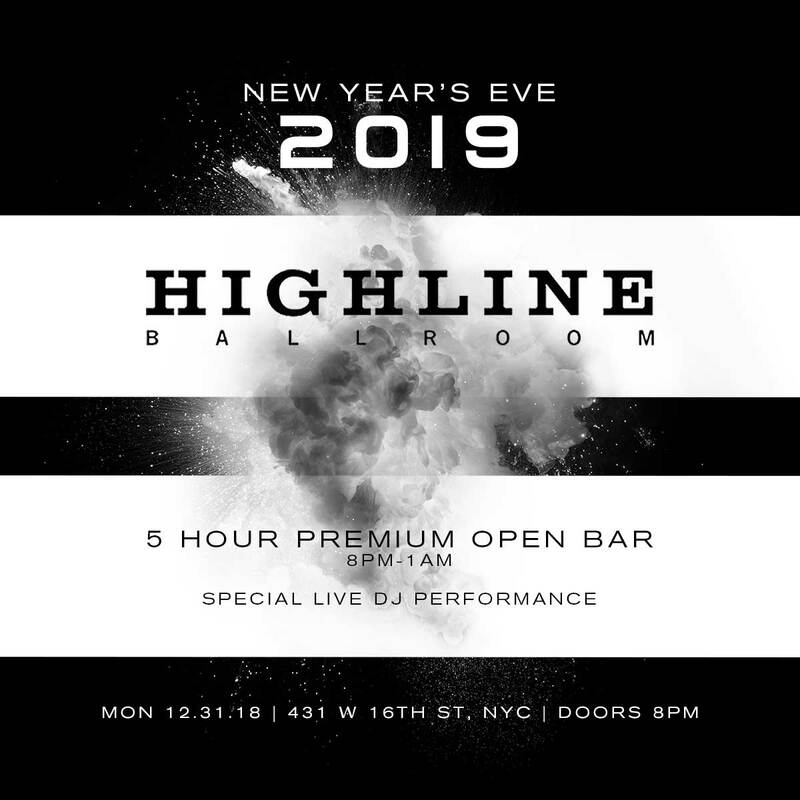 Celebrate this NYE with NYC’s in-the-know party people at the renowned Highline Ballroom, where an NYE extravaganza packed with mind-blowing sights and sound will take your NYE to glorious new heights. 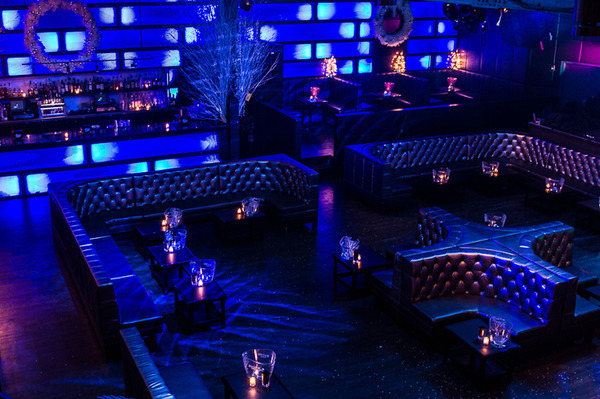 Purchase VIP tickets to this exclusive New Year's Eve party event.